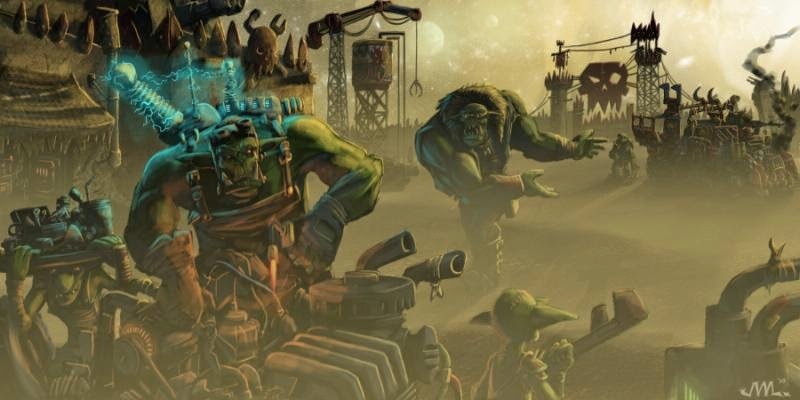 Today I'm going to do my best to cover the direct effects and metagame implications of the recent errata document released by Privateer Press. There's some very simple, but impactful changes that hit a certain pair of epic sisters, and everyone's favorite mad scientist. Combine that with some buffs to under-loved models and it feels like PP isn't just attempting to fix rules writing problems and typos, but rather to fix their mistakes in balancing models. After my experience with GW erratas and their liberal use of "the most important rule," I'm happy to see something addressing perceived balance problems, even if they aren't addressing some of the problems I've heard are the most egregious. With that preface, let's dig into these changes. Let's start with the changes to the most underloved models I've seen the Mountain King (MK) and Seige Animantarax (SA). When I say under loved, think about the last time you saw either of them before the errata dropped, I'll wait. One of my running jokes with another local Skorne player was that "It's a damn shame they never gave Skorne a battle engine." Now that might be changing. First up, as you probably can guess is that the Mountain King got the Assault rule, allowing it to charge and make a ranged attack at the model it charged before it makes its charge attack. It's pretty slow moving, but its SP10 gun means the MK has some serious reach. Combine that with it's Kill Shot rule, you can get your MK to make two power 16 spray attacks when you have it assault in. Sadly, Carl has a point, with it's RAT 5, that gargantuan you spent 20 points on is going to take a lot of boosting to make his sprays hit. Doing a quick check in war room, I was looking for something that would make the MK feel like it would be a decent investment, especially in a meta where you want to have Warders or light warbeasts coming out of your ears. First thing I happened upon was Captain Gunnbjorn and his spell Guided Fire, which boosts ranged attack rolls for battlegroup in control area at the cost of half his stack. I haven't seen him played much, but if you play him, it might be something to look into. I'll admit that I'm not a Trolls player, so if there are more ways ways to get the MK to hit will, please leave me advice in the comments. Now onto my faction, the glorious Sontaran Skorne Empire. The biggest problem with the SA before the errata was that its defining rule, Cantankerous, would allow you to gain rage tokens you could use to boost your melee attacks, but you could only gain them by him being damaged by your opponent. Sounds like a win-win, either they don't hit your battle engine or it gets more powerful. Unfortunately, it's not a warbeast, so a lot of our support doesn't help it, doubly so because it's primarily a ranged weapon. Now they've given Cantankerous a change so that you can boost ranged shots and generate rage tokens off your own attacks. Afraid to actually damage your expensive model? Well it's a living model, so your paingivers can hit it and use anatomical precision to do just a point to it and generate a token. Given the slew of ranged support options Skorne has been getting lately, I think you'll be seeing a considerable increase in the number of SAS you see on the table. Here's the boring middle section where we breeze through some corrections to models from the newest book, Haley3, Verendrye and the Trencher Buster. Simply put, PP forgot that the TB is in fact a Trencher model and thus would flank with itself. This typo make itself a melee nightmare when it was supposed to only be terrifying in the presence of other models of that type. The same goes for Verendrye being a Steelhead that had Flank: Steelhead. These models are new enough and their associated types of units rare enough that they won't necessarily have any metagame impact. The second errata to a new model (still not on War Room) is to modify Haley3's spell Temporal Flux. It clarified that it was intended that each of the models in the unit would benefit from the defense buff. The part they changed was that only friendly faction models in the aura will now benefit. If you're running her with Murdoch to make a unit of Boomhowlers or Nyss Hunters Cygnar models, his Ranking Officer rule will allow them to benefit from TF as long as he's alive, but once he's gone they no longer benefit. Since Haley3 is a Warcaster Unit, I've seen her running with Rhupert to push her defense up into considerable territory. Post-Errata, he will no longer be able to trade defense buffs with her, making him a bit more vulnerable. Now for the changes with serious metagame implications: the changes to Haley2's feat and the addition of Shadowbind and Blind to shakable effects. Being shakable, for those not in the know, means you can spend focus/fury or a beast can be forced to remove the effect during your next control phase. Well known examples of shakable effects are Knocked Down and Stationary. Up till now, Blind has been arguably the most dangerous effect in the game because it forced you to take -4 to your DEF. True, it also would force you to sacrifice movement or action, take -4 to MAT, and prevented you from making ranged or magic attacks, but most of the time your caster got blinded, you'd be dead before it was your turn again. Just in case your opponent failed to kill you, your caster would still be pretty useless the next turn. Gorman, with his AoE blind bomb, has shown up in many lists and is a target you must deal with because blind had such a high assassination threat. Or it could simply take your 17-20 point colossal out of the game for a turn, or every turn that you can't deal with him. With it being shakable that threat to your colossals drops drastically. Wraith Witch Denegrah's feat, infamous for making it possible for her to win a scenario victory without making an attack, is now shakeable. Much like Blind, you still suffer the effects of it during your opponent's turn, but shadow bind was much more about preventing you from being able to move into a zone for a turn. This change will mean that eDenegrah's feat is more about draining resources from your opponent (1 focus for each member of the battle group you want to move) and clogging up infantry-heavy armies than laughing your way to a win. Now, to arguably the most impactful change: eHaley's feat no longer allows you to choose the activation order of your opponent's models that activate within the aura. They still have to give up movement or action, so it's not completely useless, and her massive control area (2nd largest in game) means it will probably still be a psuedo-time-walk, but it becomes much less skill testing. Having played her for most of my Cygnar games, I know that I don't understand the game enough to dictate to my opponent his order of activations. While both of the epic sisters had their feats nerfed, eHaley's will have a larger effect on her faction as she was represented in 21 of 24 WTC list pairings. eDenegrah's feat is still very potent, as is eHaley's, but eDenegrah has a long list of equally viable competitive caster in her faction that eHaley doesn't. Cygnar casters can be good, but Cryx is the current top dog in casters for a reason. The Mountain King and Siege Anamantrax may actually see the increase in play PP wanted to encourage by giving them discounts in so many tier lists. Will it be enough that we see them showing up at top tables? I doubt it, but there should be more at local steamrollers and those are the lifeblood of the game. The minor erratas to the flankers and Haley3 shouldn't change anything about how they are included in lists, but it will take a few months to see how this shakes out.